Shopping for the final Christmas gifts on the night of the 23rd of December is a tradition that leads thousands of Madeireans to the Market streets in Funchal. In this contagious buzz, which also appeals to many visitors, it is noticeable the true spirit of the “festivity”. 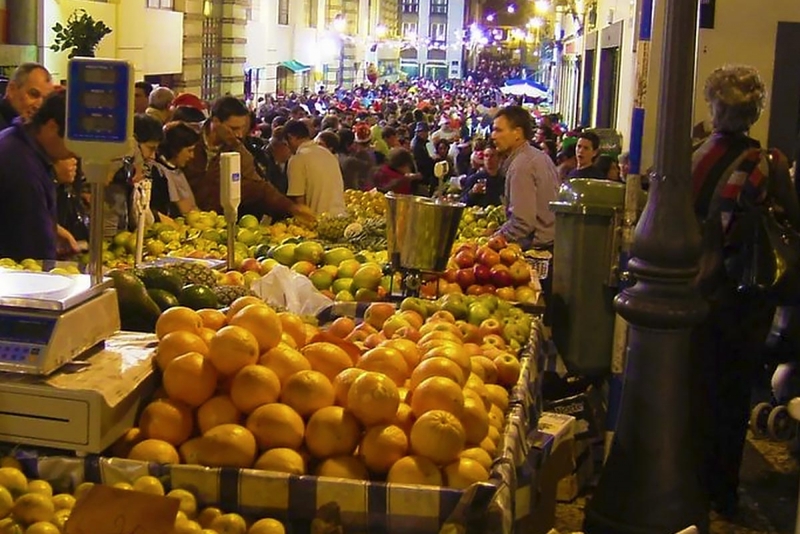 The surrounding streets of the Market are closed to traffic and become a gigantic window of local products display: fruits, vegetables, flowers, sweets and typical Christmas drinks. The bars located nearby are open all night, joining forces to turn this into one of the longest and cheerful nights in Madeira.